Eleaf has launched a new e-cigarette iCare 2 into the market. iCare 2 has many different advantages which will make vapers interested in it. Particularly, iCare 2 is targeted at newbies with its simplicity and unique design. 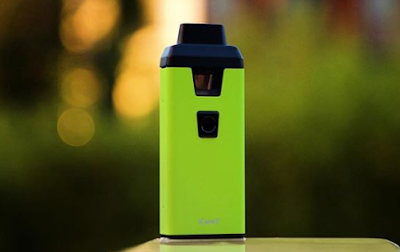 Eleaf iCare 2 vape kit features an exquisite rubber paint. When you hold it in hand, it’s very soft and smooth and you will not feel cold to carry this especially in winter. Using rubber can also lighten the weight and it only weighs 33.5g which can greatly ease you package burden. For its small size, the internal battery capacity is just 650mAh and the maximum output of wattage is 15W. For newbies, iCare 2 is a good choice with its notable simplicity. It is equipped with intuitive four color LEDs to indicate battery level. From high level to low level, colors will change gradually from green, orange, blue to red, which can remind newbies in time of charging the battery if they are not sure about whether the battery runs down or not. In addition, some newbies may worry about how to fill the tank. iCare 2 can perfectly solve this problem. You just need to remove the mouthpiece and fill it with e-liquid through the side hole. During filling process, newbies will not spill oil out of the tank, which is very easy to handle. After finishing the tank, newbies can install the mouthpiece very quickly. Having analyzed all the distinctive features of iCare 2, we can find that it’s very attractive for vapers especially newbies. If you are in the market for an e-cigarette that is portable and easy to use, iCare 2 is an excellent option.